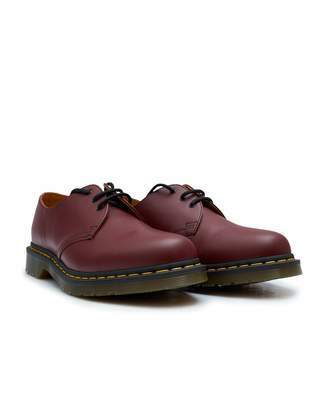 The Original 1461 3 Shoes from Dr. Martens are crafted in Northamptonshire using original shoemaking techniques. The shoes come with the iconic AirWair sole, a polished derby upper and three pairs of metal eyelets with waxed laces. Leather upper Rubber AirWair sole Derby construction 3 pairs of eyelets Waxed laces Measurements Heel depth: 1.3"